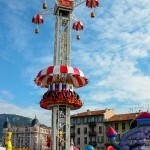 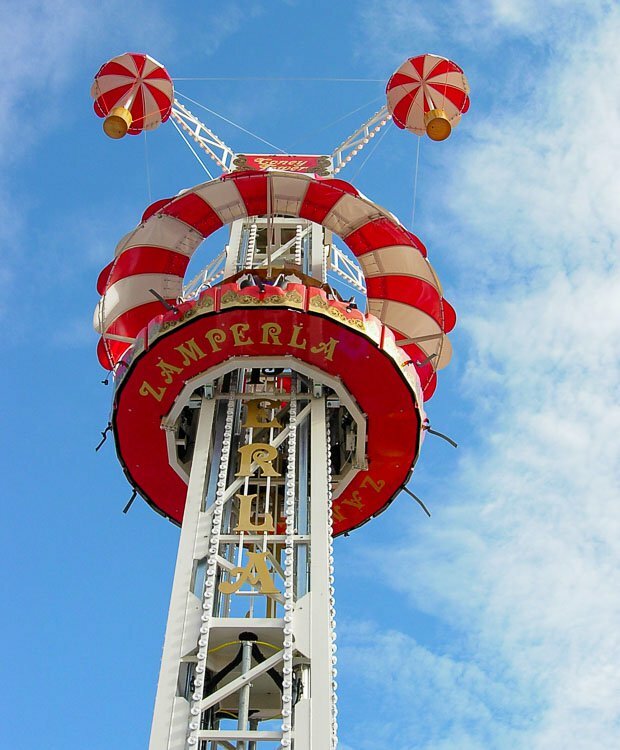 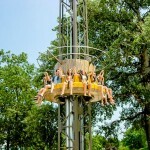 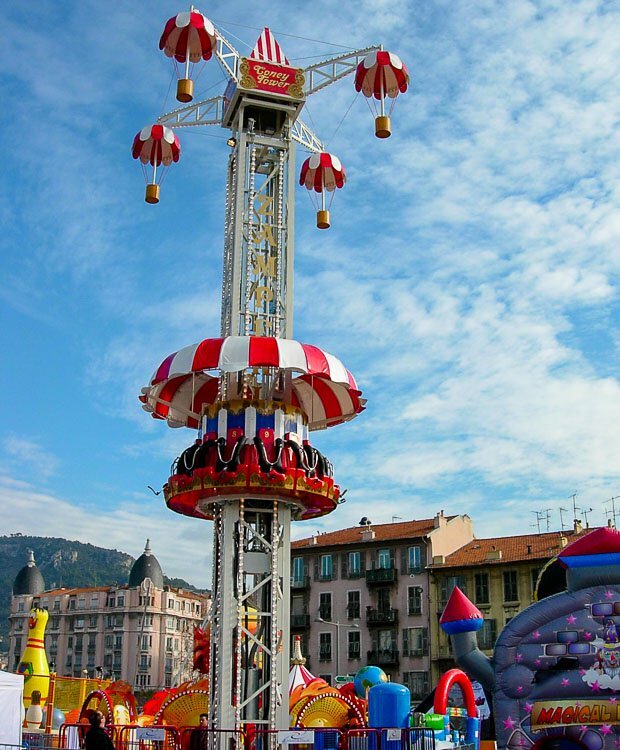 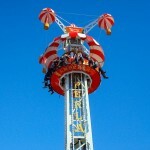 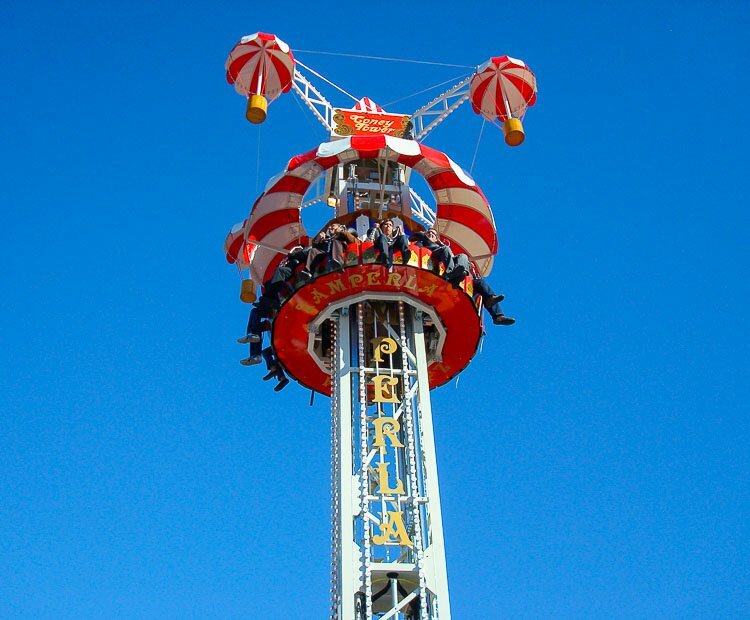 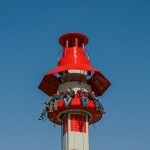 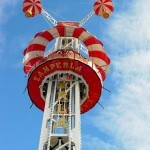 Zamperla is proud to introduce the newest member of its expansive family of towers. 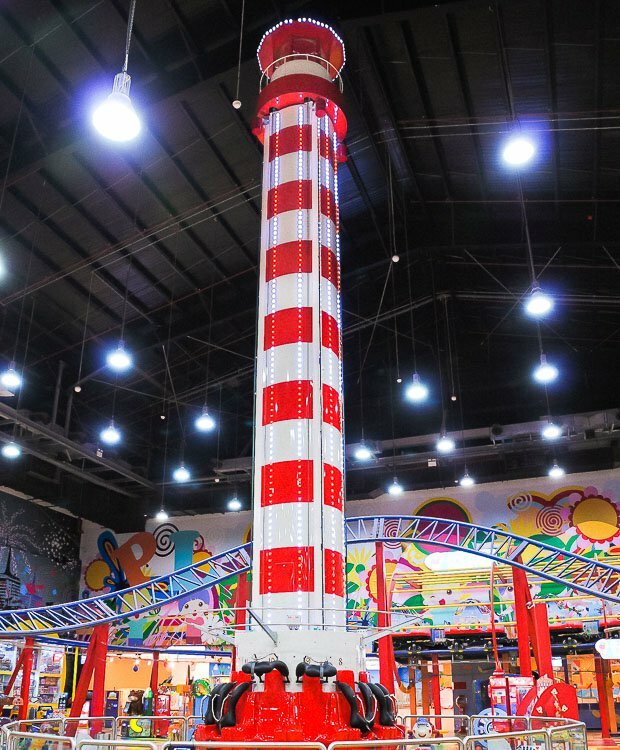 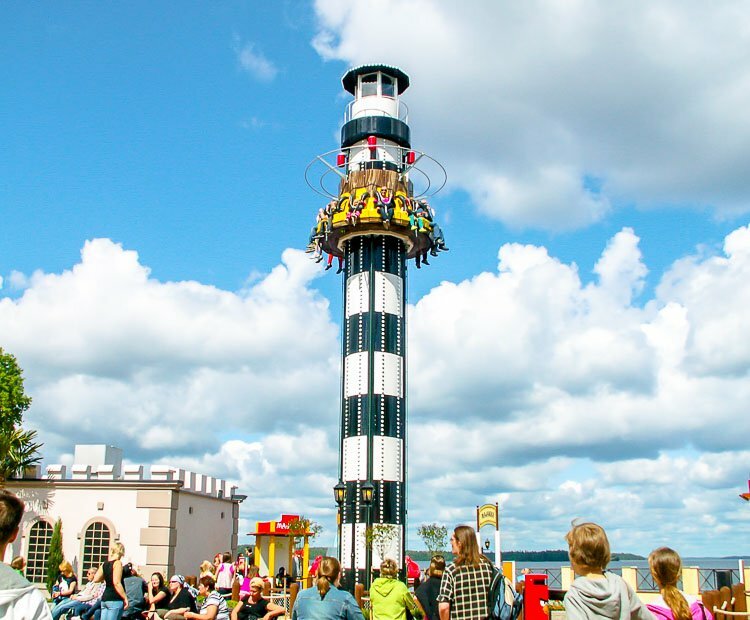 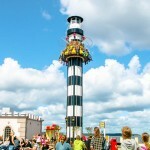 The new Sky Tower stands 13,5 meters / 44’ tall (10 meters / 33’ stroke – the version with Pirate top decoration is 18 meters / 59’ high) and featuring two amazing “bouncing and drop” ride programs for both children and adults. 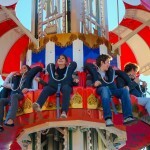 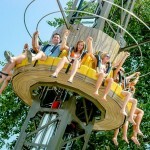 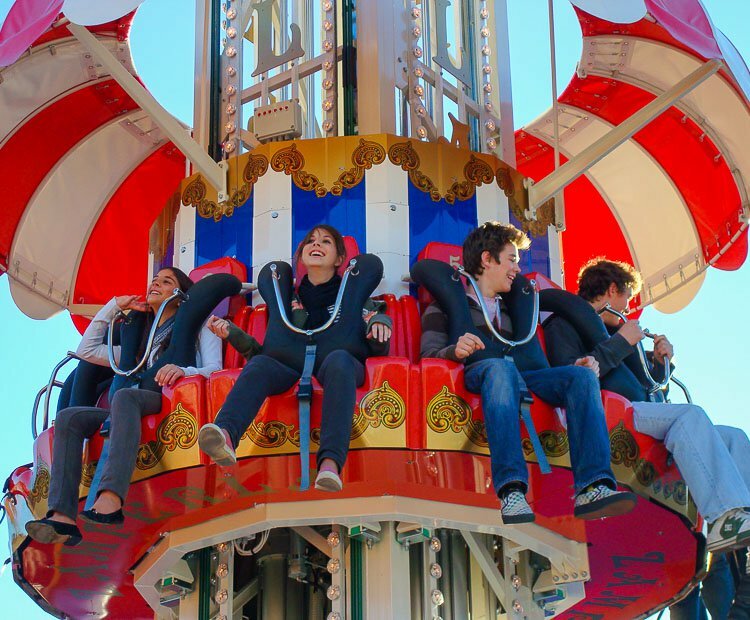 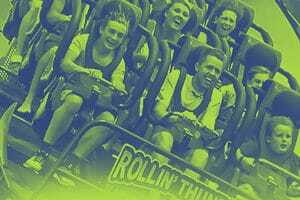 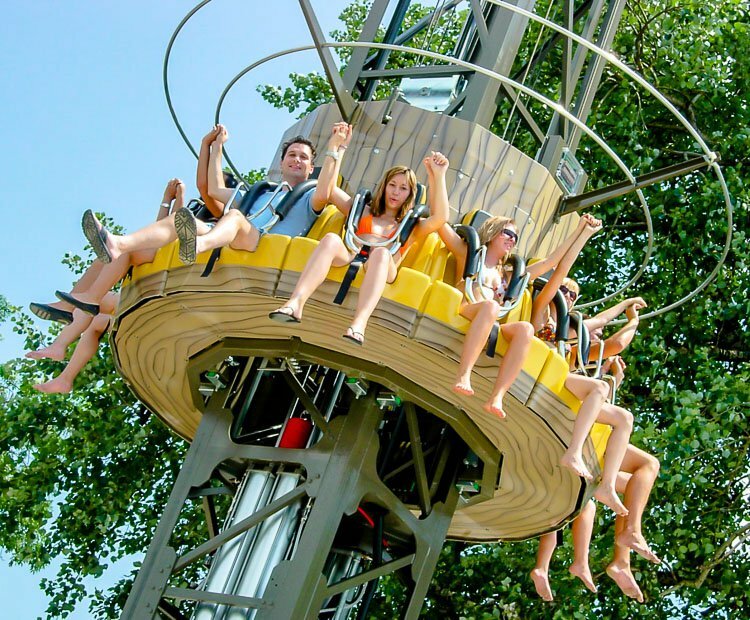 The Sky Tower can accommodate up to 12 riders per cycle, secured by means of an over-the-shoulder restraint to maximize both comfort and safety, for a total capacity of 300 riders per hour. 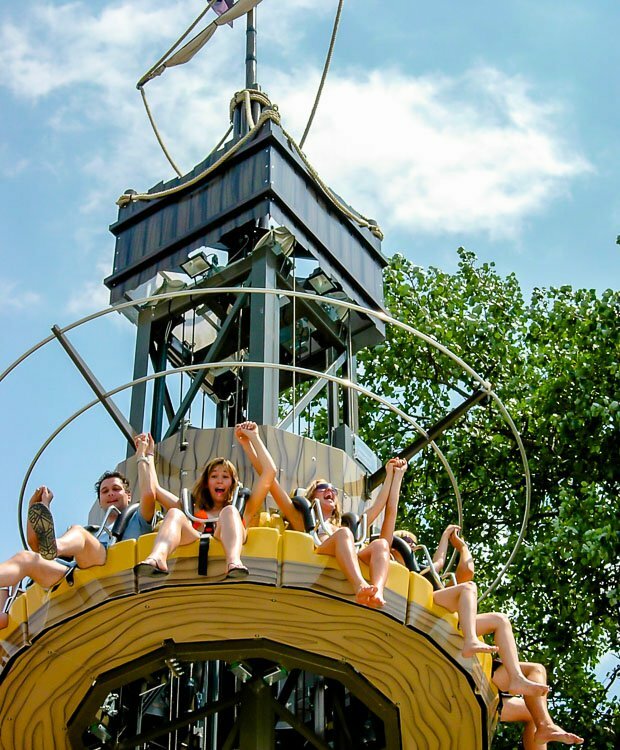 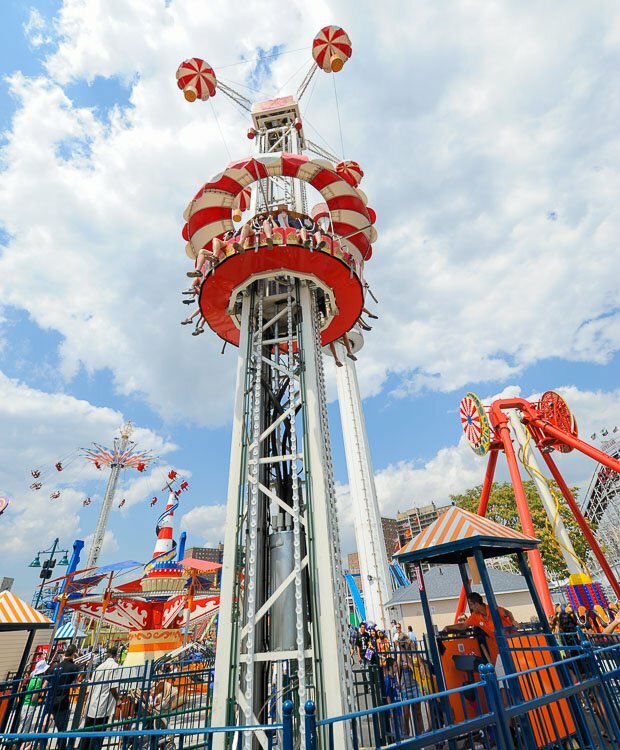 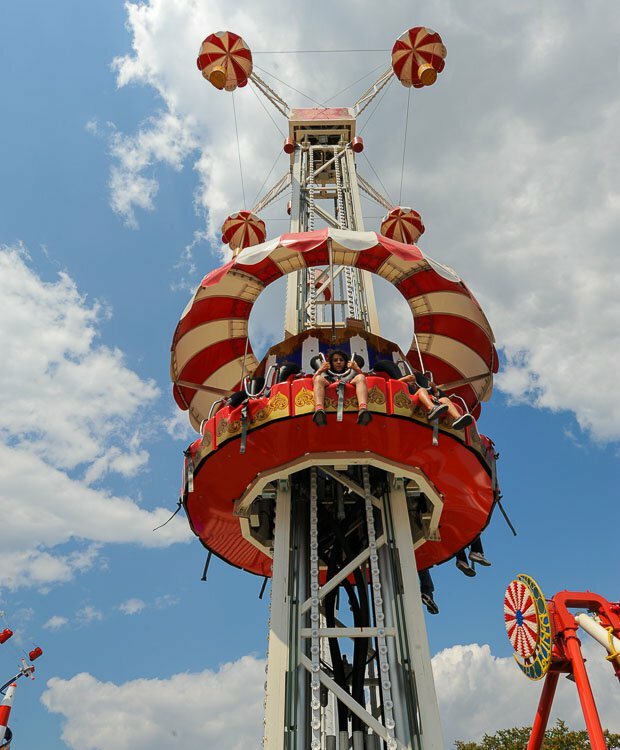 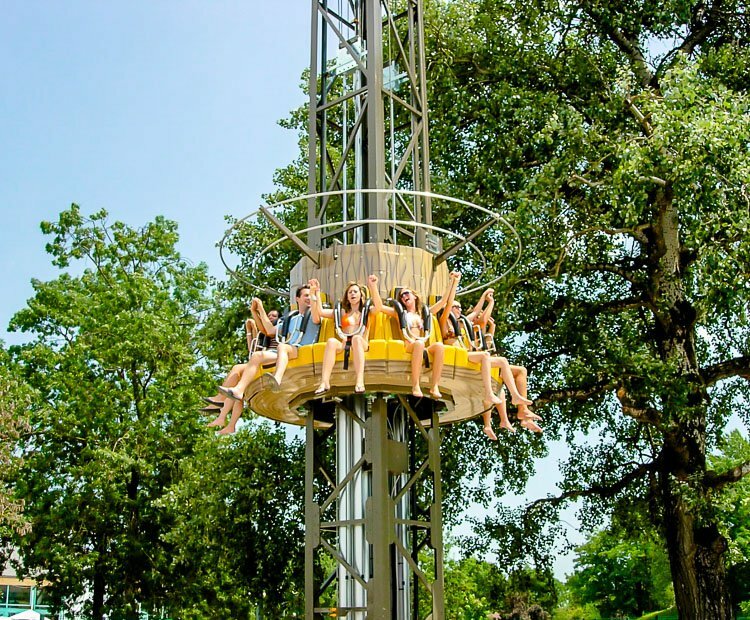 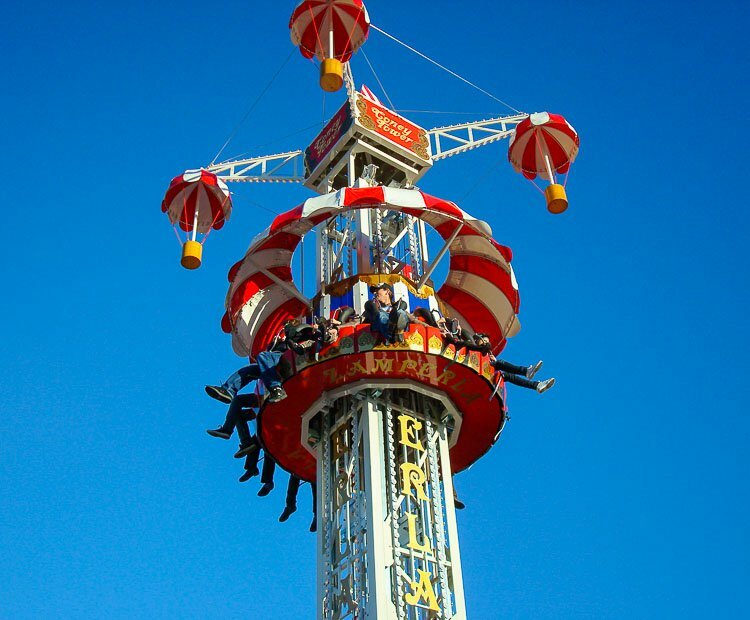 Intrepid riders of all ages (minimum height requirement: 105 cm / 41’’) are lifted to the tower’s apex, before experiencing a series of bounce and drop sequences, …and are sure to love the wonderful aerial trip. 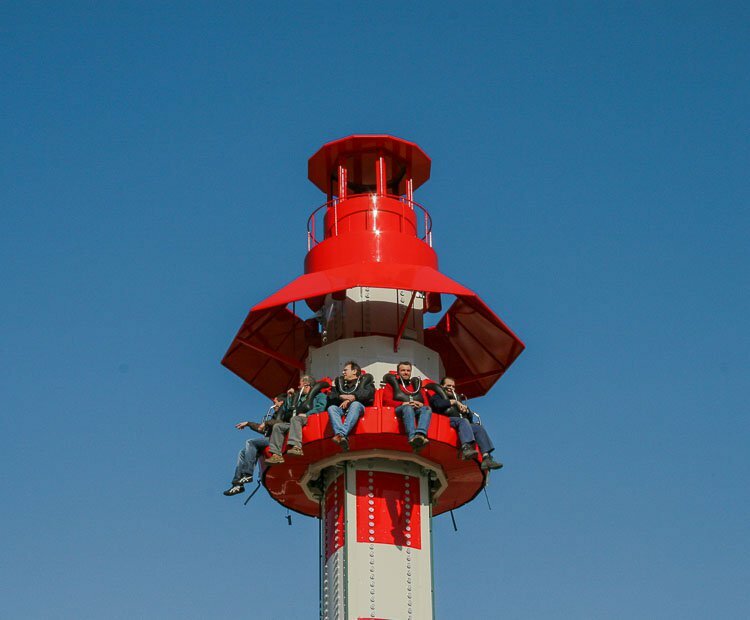 The tower is equipped with an advanced noise reduction technology; the total installed power is 35 kW approx. 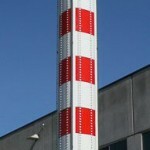 (motive power, 30 kW; lights power, 5 kW approx.). 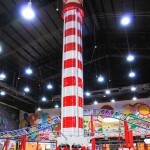 High on presence but short on site requirements (footprint diameter: 7 meters approx. 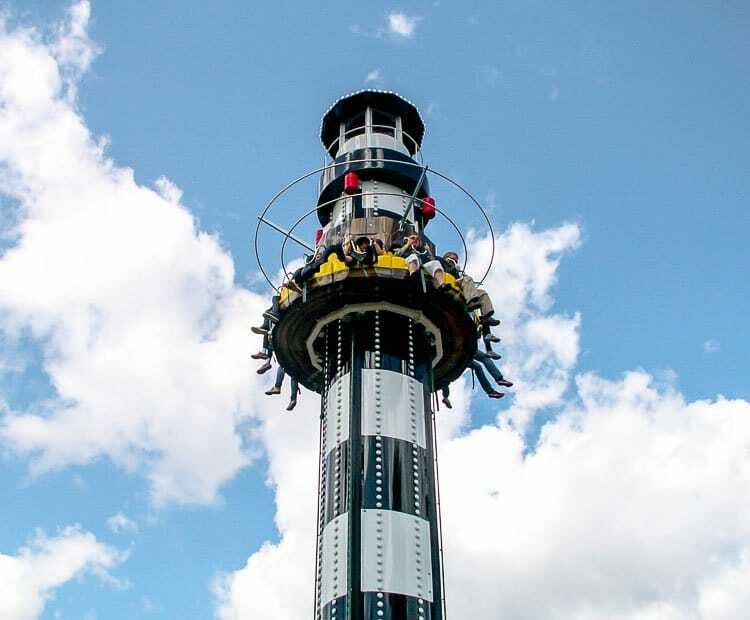 with safety area included), the Sky Tower fills a perfect niche for a small to medium sized park and is a great way to give any park’s skyline a dynamic change. 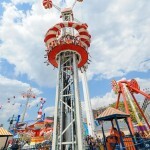 Additional theming options for the top and the gondola are available. 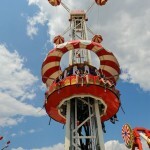 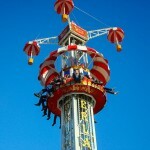 The tower ride is also available with 15 meters / 49’ stroke. 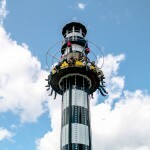 Do you need more information about Sky Tower?